524 Yates Street, Victoria (Simon Leiser warehouse) – Temple Lodge, No.33, Duncan, B.C. 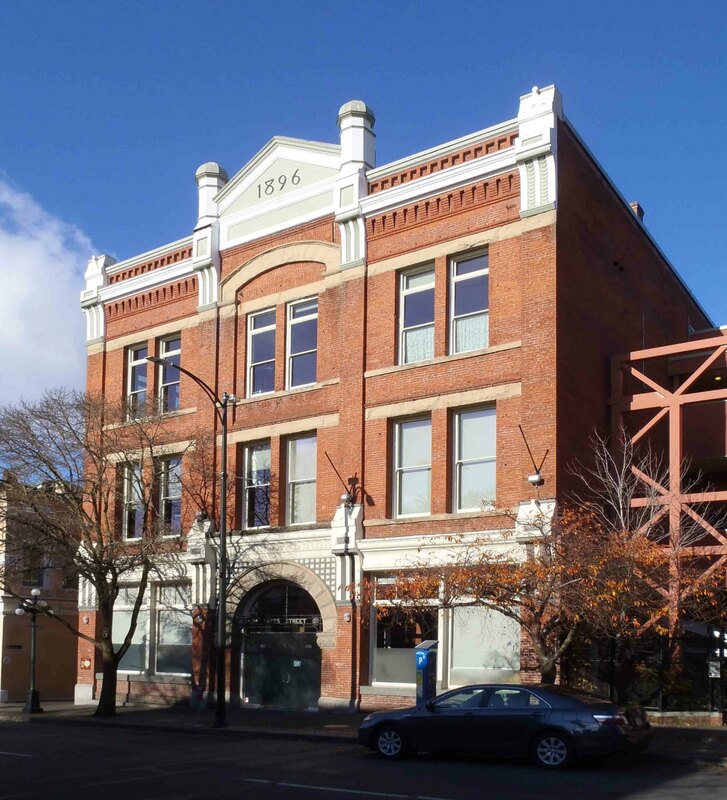 As part of our Vancouver Island Masonic History Project section on Buildings Built By, Or For, Freemasons here is a page on the former Simon Leiser warehouse at 524 Yates Street in downtown Victoria, built in 1896. 524 Yates Street is a heritage building in downtown Victoria, B.C. It was converted to condominiums in 2011. Simon Leiser’s former warehouse at 524 Yates Street in Victoria was converted to condos in 2011. Simon Leiser was a member of Vancouver & Quadra Lodge, No.2 in Victoria. He was a leading figure in Victoria and Vancouver Island business in the late 19th and early 20th centuries. Simon Leiser built this building in 1896 as the warehouse for his wholesale grocery business. “absolutely fire-proof.. .and are thoroughly mod­ern in all respects…The basement, which has a cement floor, is used for the storage of butter and other articles requiring an even tempera­ture [and] is so ventilated that the atmosphere can be maintained at a low point even in the hottest of the dog days. After Simon Leiser‘s death in 1917 his wholesale grocery business was purchased by Kelly-Douglas Ltd. The building later became government offices until it was converted to condominiums in 2011.